This project is part of the ERC Starting Grant EUVPLASMA. 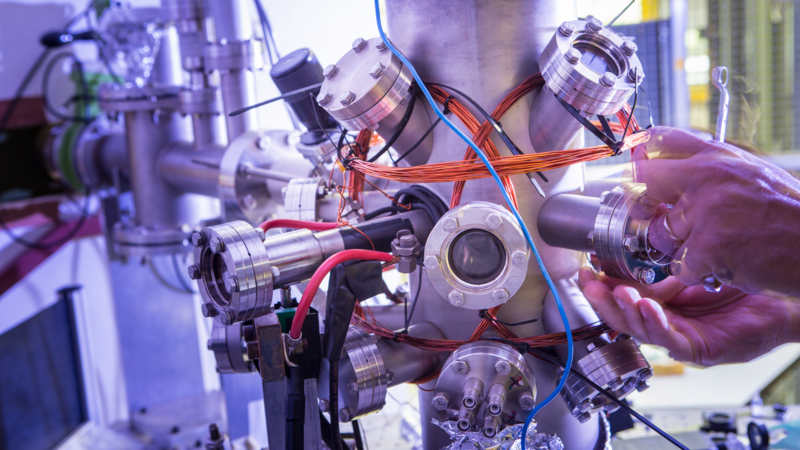 This project aims understanding the fundamental limits to the emission of extreme ultraviolet (EUV) light by dense laser-produced tin plasmas. Which atomic plasma processes determine the efficiency of the conversion of drive laser energy into EUV radiation? How can this conversion be optimized? Answering these questions by focusing on the fundamentals of atomic and laser-plasma physics, e.g. through detailed time-resolved spectroscopic investigations and advanced laser control, will pave the way for better, more efficient sources used for tomorrow’s nanolithography. You will be embedded in the EUV Plasma Processes team at ARCNL, where you will co-supervise a team of talented PhD students. The Advanced Research Center for Nanolithography (ARCNL) focuses on the fundamental chemistry and physics involved in current and future key technologies in nanolithography, primarily for the semiconductor industry. ARCNL is a public-private partnership between the Netherlands Organisation for Scientific Research (NWO), the University of Amsterdam (UvA), the VU University Amsterdam (VU) and the semiconductor equipment manufacturer ASML. ARCNL is located at the Science Park Amsterdam, The Netherlands, and is currently building up towards a size of approximately 100 scientists and support staff. You need to meet the requirements for a doctors-degree. Research experience in a non-Dutch academic environment and knowledge in the fields of laser physics, atomic or plasma physics are advantageous. Good verbal and written communication skills (in English) are required. The position is intended as full-time (40 hours / week, 12 months / year) appointment in the service of the Institutes Organisation of the Netherlands Organisation for Scientific Research (NWO-I) for a maximum duration of three years. ARCNL assists any new foreign postdocs with visa applications and compensates their transport costs and furnishing expenses.